Canada Post celebrates Black History Month by commemorating two distinctive and historic African-Canadian communities: Vancouver's Hogan's Alley and Halifax's Africville. Working closely with designer, Karen Smith, Janice Kun created the background watercolors depicting historical churches, central to these communities. Typical of Janice Kun's style, the pairing of the paintings with supplied historical photographs is a delicate dream-like balance between these real people and remembered communities. Print and Pattern features Katy Dockrill! 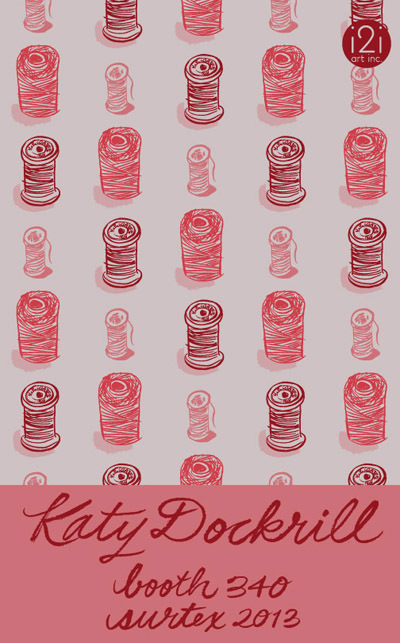 SURTEX is only a few days away, and we are super excited to share the post Print and Pattern featured on Katy Dockrill. If you would like to see more of her bright and beautiful work in person, please visit us at booth #340 at the Javits Center in NYC from May 19-21.
i2i art is proud to welcome Katy Dockrill into our family of artists. Her work is fresh and fun and full of irresistible personality! Below is a small sample of her illustration and surface designs. To see more please visit Katy's new i2i art portfolio here. This image (above) called Friends, caught my eye when I first saw it screen printed on a tote bag! Love the retro car in this illustration! This is one of her lovely surface design patterns. Can you just imagine it on children's bedding or curtains? Betsy Everitt: Play App Art for Participaction! "(We were) initially asked to come up with a print piece, but instead conceived of the idea for the interactive app. 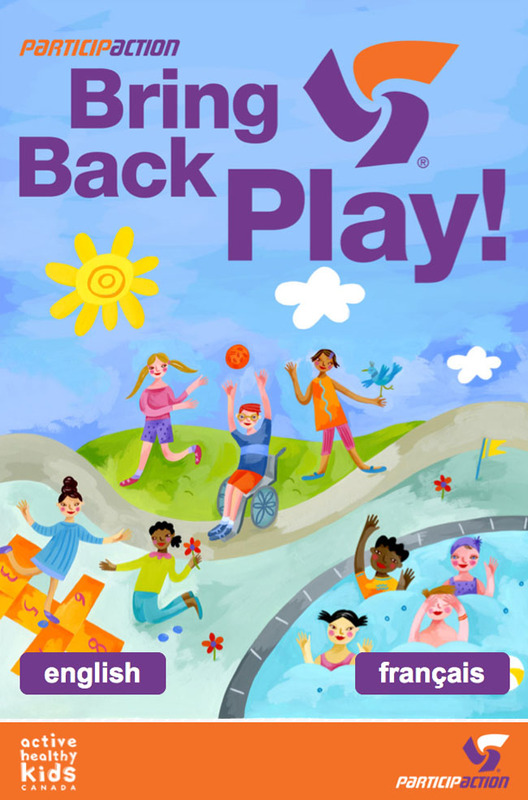 It seemed to be a better idea to help Participaction reach a broader audience with the message that we have to get kids moving. "Bring Back Play" relies on a nostalgic tug at the heart to get parents, care-givers, teachers, counsellors, etc., engaged in games we used to play. The app allows the user to post comments, upload video and photos, rate games, share games and add new games. We worked through the experiential aspects, through the wireframe, design and development -- in both English and French. Betsy Everitt's charming and colourful illustrations provided the friendly personality of the app and the functional wayfinding icons. It has been released to much acclaim and press coverage." Credits for this project are as follows: Barb Woolley: Design Director, Dominic Ayre & Nik Firka: Designers, Andrew Ryther: Project Manager, Betsy Everitt: Illustrator, Summit: Developer. There are so many sides to Kevin Ghiglione. For those who have not been introduced to his fine art, you are in for a treat! Fable, Kevin's most recent body of encaustic paintings, opens at MUSE Gallery this Friday October 19th from 6-9pm and runs through November 8th, 2012. Fable is about stories that conjure the wonder of discovery and for those local folks who would like to drop by the gallery to see his art in the flesh, Kevin says, "The true life of the artworks can only be fully experienced in person where one can delve into the luminosity of layered wax and passively feel the three dimensional qualities exposed with incidental light.". Lymari Acevedo, art director for AAA Traveler, repurposed an image created by Margaret Lee exploring the musical heritage from Nashville to New Orleans. Art Director Emma Dalby commissioned Thom Sevalrud for a third cover for the award winning Journal. His masterful conceptual skills communicate to the scientific community Leukemia's treatments and how to identify the disease through family history and biological markers. Mark Hoffmann in Enormous Tiny Art Show! Size does matter in Portsmouth, New Hampshire from September 7th to October 1st, where the 12th Enormous Tiny Art Show is underway. A huge selection of tiny pieces of art (no larger than 10" x 10"), from artists around the world, are on display at the Nahcotta Gallery and online here. The first biannual Enormous Tiny Art Show opened in the winter of 2007 and not surprisingly has an enormous following! The organizers' goal is to share their love of art and make it accessible to everyone. As a first time exhibitor in this fall show, Mark Hoffmann says he has already begun preparing more tiny art for the upcoming winter show. Below are a few of our favorites from the twelve (almost sold out) pieces Mark has in the show. We're with the ETAS peeps in their exclamation, "Viva la tiny art!". Phil, working with design director Nick Crow, created this illustration for Country Gardens' fall 2012 Slow Lane column. His impressionistic style tells the story about the migration pattern of the black feathered, white beaked Coot, and a real life altercation between 30 of them encountering a hungry bald-eagle, during a brief stop over on their way south. Phil brings drama to the illustration with the menacing shadow of the eagle, contrasted by the calm and collected demeanor of the Coot, who ultimately see their way to victory. 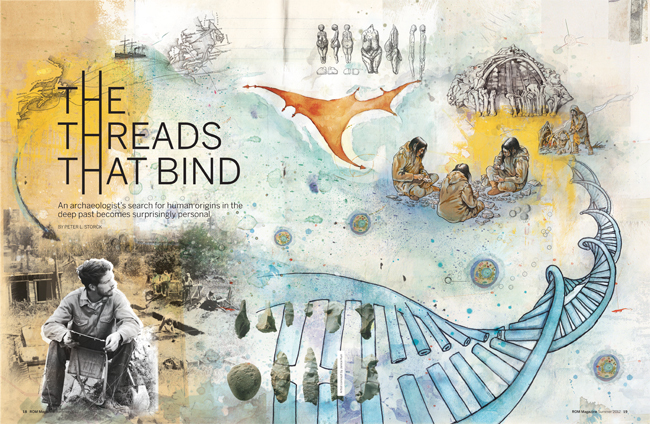 Sarah Beetson was illustrated a double page spread for UK Magazine Nuts', interview with the provocative Russell Brand. Below is her sketch with type and the final art. We think her 'out there' approach to the illustration is a perfect send-up for Mr. Brand! For a peek at the process below is Sarah's art at the rough stage. Here is the final art. Monika Melnychuk for Dogbook iPhone App. Monika says, "I have been a dog geek forever. When I was a teenager I drew x-mas and birthday cards with dogs. Then I worked dogs into any assignment I could. For example in first year illustration we had to design a shopping bag and mine of course, was all dogs. Before I became an illustrator I tried being a dog portrait artist. Wow, I am a nerd, but I just love dogs!" Fast forward... Geoffrey Roche, partner at Poolhouse, saw some of Monika's dog drawings and he had to have her illustrate the landing page for the new Dogbook iPhone App. Can you spot *your* dog? 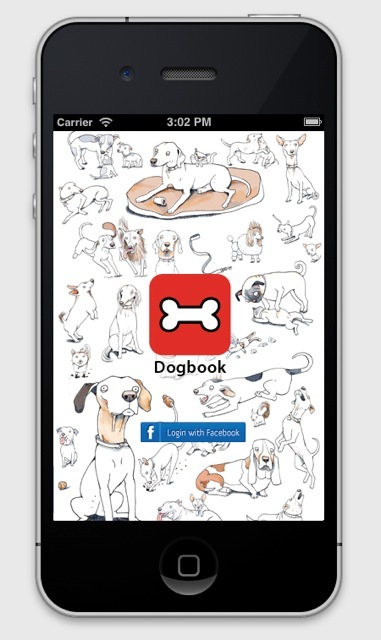 If you're looking to connect with like minded doggie lovers get the free app here. Also below, see a recent piece on the theme, created for surface design applications. We think it would make a cool wallpaper or fabric for your favorite dog house. Monika and her dog Boogaloo share a breathtaking moment in their beautiful world. Check out Tim's American Gothic spoof used as cover art for Jay Zell's CD, Country World. 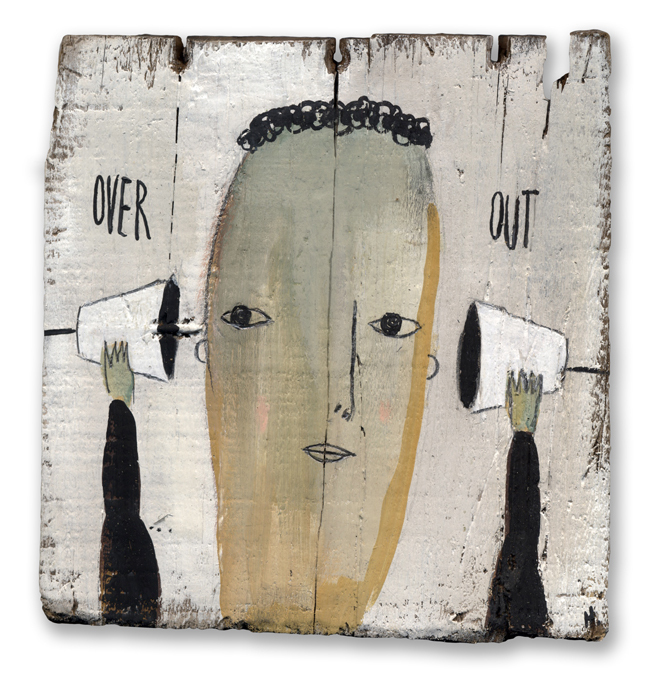 Notice Tim's trademark patina created by layering paint and varnishes on wood. A new personal piece by Anne Horst, capturing beautifully, the whimsical care-free spirit of a child! Mark Hoffmann was asked by art director Brian Donahue of Be Design, to illustrate a feature article on 'Food's Future' for Macalester Today's summer issue. Macalester College alumni weighed in on organic farming and food technology debates. The combination of Mark's 'organic' art (often painted on recycled wood), along with his brilliant ability to communicate hard-hitting ideas with wit, made him a great fit for this assignment. Brian was a great supporter of the project, and encouraged the realization of Mark's art becoming the first ever illustrated cover for the magazine.